‘TsankovKamak’ Hydroelectric PowerGeneration Projectis the first pilot project for joint implementation under the Kyoto Protocol on the basis of a Memorandum of Understandingbetweenthe Republic of Bulgariaand the Republic of Austria. The aim of the project is to construct the middle section of the Vacha Cascade and to fully utilize the available Hydroelectricpower potential along the river valleyVacha. Financing is through export and commercial credits in the amount ofEUR 220 million, disbursed without state guarantee. 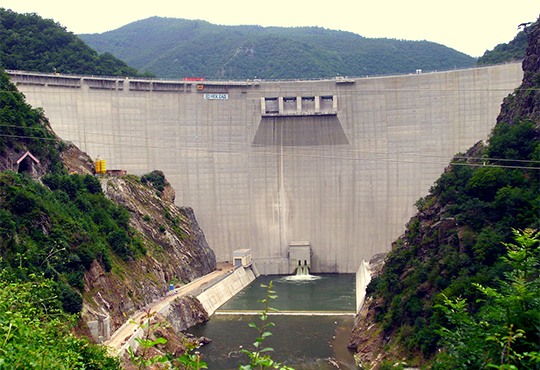 ‘TsankovKamak’ Hydroelectric Power Plant (HPP) is located onVacha River, which is one of the biggest Bulgarian rivers. Six Hydroelectric power plantsare operational at present along the Vacha River withoverallinstalled power of 400 MWand annualelectric energy production of 460 GWh. Underground pressure derivation with total length 540 m.